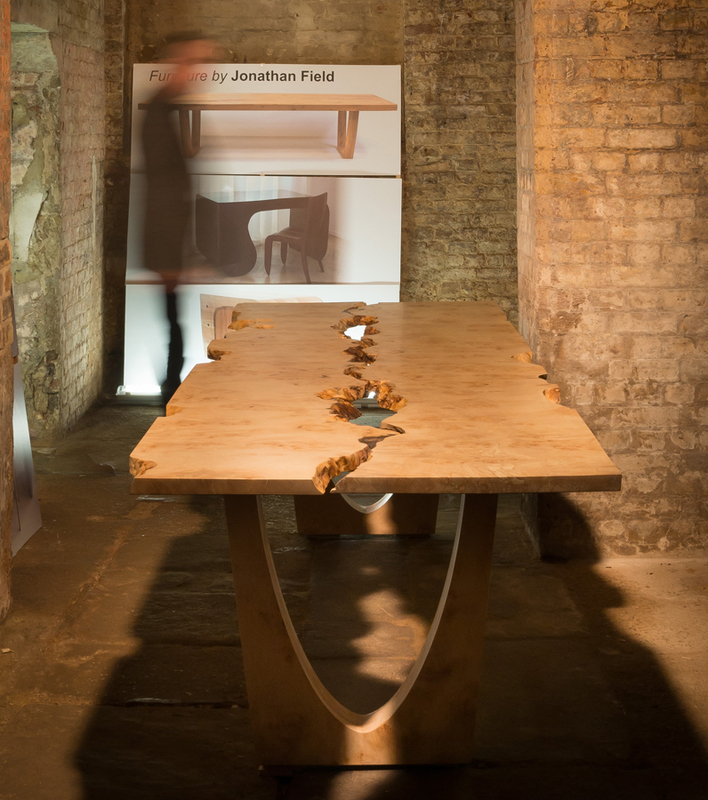 This table was shown at the Grand Designs Live show in London and the Clerkenwell Design Week, London in 2014. The two inverted waney / live edges (Grand Canyon) run down the centre of the table. The above dining table lighting shines through onto the curved leg structure below.